Home security is important to everyone. 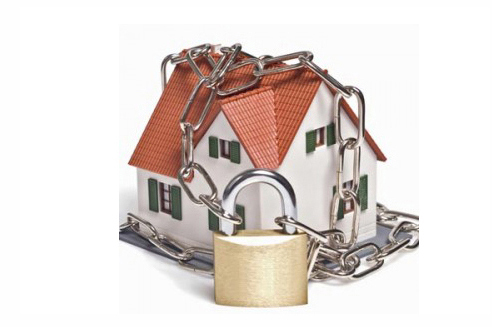 No matter what type of property you live in, it is vital to keep it safe. While chances are nothing bad will ever happen, it is better to be prepared just in case there is an incident at your home. Believe it or not, there are some easy ways to make your home more secure that won’t break the bank. Doing these three things will help keep your house safe from whatever threats may be out there. One of the most important things to do when you move into a new home is change the locks. If you haven’t done this, it should be on your to-do list. While the previous tenant may have turned over his or her keys, who knows if there are any copies floating out there. This is an unnecessary risk. Even if you did change the locks, an upgrade might be in order if they are weak. Using high quality locks can be a major deterrent for burglars who don’t want to waste time trying to get a door open. A good deadbolt lock won’t cost an arm and a leg and will be enough to stop most thieves dead in their tracks. Most thieves look for signs that a house may have something worth stealing. If you live in a house, they will drive past it seeing if there is anything valuable in the yard. Burglars will also scope out the balconies of condo buildings to see what units look to have expensive items out. If you don’t want to make your home a target, keep valuable items out of plain sight. Of all the easy ways to make your home more secure, talking to your neighbors is the best. They can be your eyes and ears when you aren’t around. You can also return the favor when they are out. By building a relationship with those who live around you, a safer, more secure community can be built. Best of all, this won’t cost a thing. LANCASTER NEW CITY is one of the biggest township developments in Cavite that spans to more than 1,400 hectares covering Imus, Kawit and General Trias Cavite. A few minutes drive from Metro Manila, Lancaster New City Cavite is designed to give the family a room to grow at home and outdoors in a complete community that has everything you'll need so you may spend more quality time with you and your family. Schedule an exclusive property viewing with our property consultant to your desired house model. To schedule an appointment, you may contact (+63) 917 512 5475. For overseas-based clients, you may request for your family or representative to have the viewing on your behalf. During property viewing, you'll be presented with the best available units within latest inventory. You may reserve your desired unit by filling out the Buyer Information Sheet, Reservation Forms and paying the reservation fee. Requirements to bring: Two (2) valid ID (both spouses if married). Personal and documentary requirements must be submitted within 30-60 days from the date of reservation. A checklist of requirements can be downloaded here. Bank financing is developer-assisted (see list of accredited banks). Payment of required downpayment is made through post-dated cheques (PDCs) payable to Property Company of Friends Inc.. Downpayment can be paid on lump sum or monthly installment at zero interest. After downpayment, wait for the unit construction to finish and for home loan application to be approved (if bank financing) before we can schedule a unit inspection. After inspection and repair of unit (should there be any), buyer may now accept the unit and move-in.